My card today uses the Garden In Bloom stamp set. 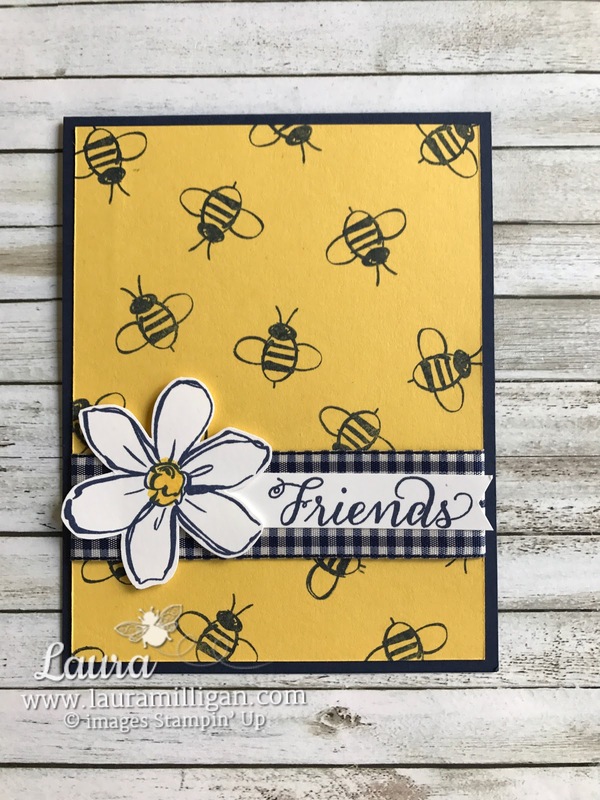 Of course I had to create a card that uses the darling bee from the set. 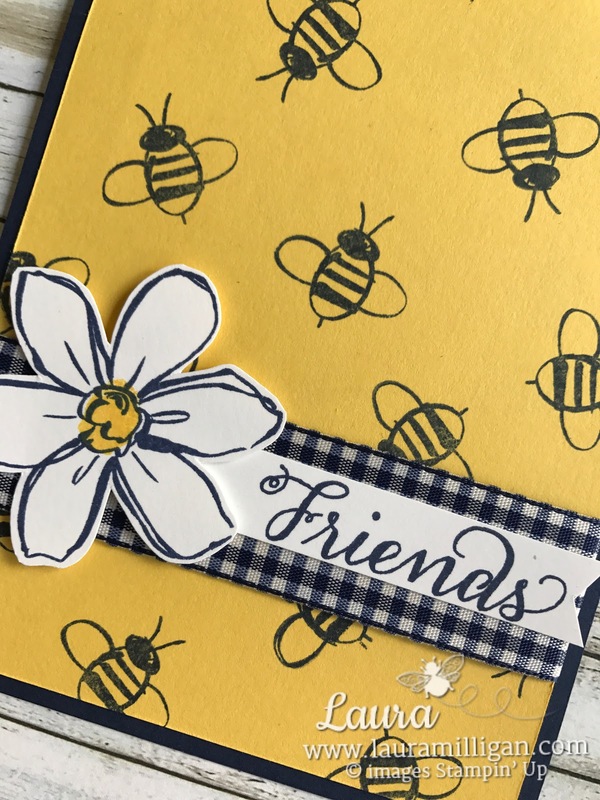 This card goes together very quickly and easily and will surely brighten someone's day! Would you like to receive this card? 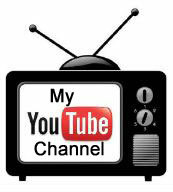 Simply leave a comment and I will select someone to receive this card. I won't sign it so that you can use it to send to a friend! Fold Night of Navy cardstock in half to create card. Randomly stamp the bees onto the Daffodil Delight Card stock. Wrap two pieces of Gingham Ribbon around Daffodil Delight card stock and attach in back. Secure ribbon on front of card with several glue dots. 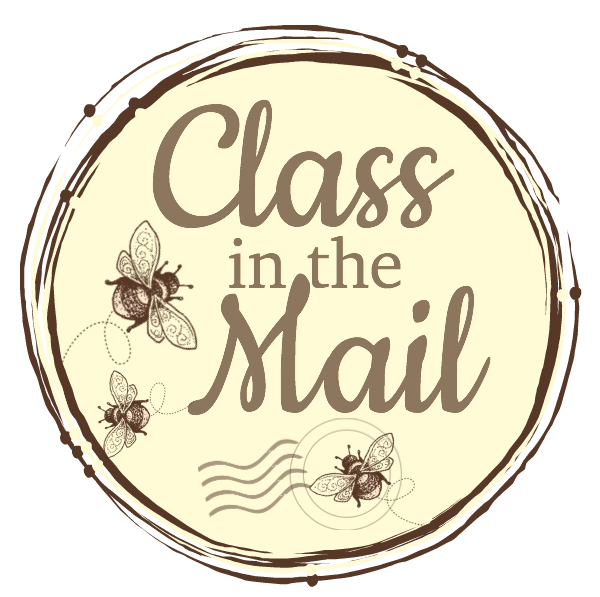 Stamp the flower in Night of Navy ink, stamping center with Daffodil Delight ink. Cut out with Paper Snips. 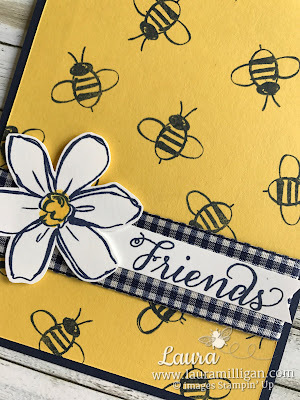 Stamp “friends” and cut a v shape at the end of the strip – attach over gingham ribbon. Add the flower with a dimensional. Here's the supply list for this card with clickable links. I 'd sure appreciate an order from you! I'll send you a hand stamped card that you can use yourself. If your order is $50 or more, I'll send you a package of the new Black Rhinestones as an extra thank you! Night of Navy: 4 1/4" x 11, scored at 5 1/2"
Daffodil Delight: 4 x 5 1/4"
Whisper White: 2 1/2" square, 1/2" x 2 3/4"
Hope you find time to "bee" creative today! Ahh, love the bumble bees. Really cute card. Thanks, Cindy! Love those bees, too!